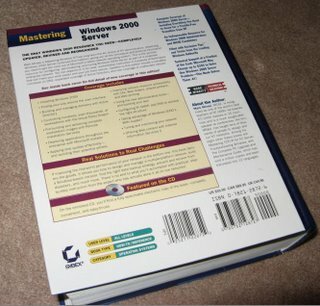 the Terriblelands: Windows 2000 Server Fun... or is it? 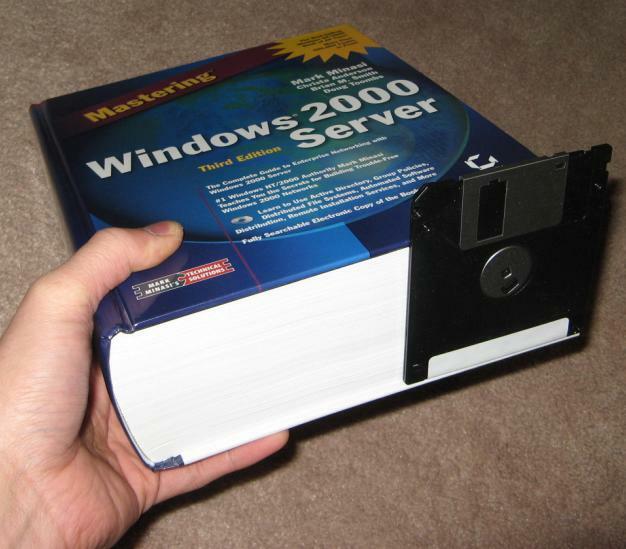 This is a thick book. 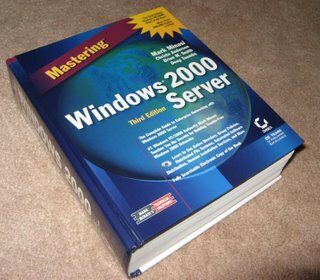 Its "The Complete Guide to Enterprise Networking with Windows 2000 Server." Hey, if it's by the publisher Sybex, who have "25 Years of Publishing Excellence" and has over 1800 pages, you can't go wrong can you? Here's a size comparison of the thickness of the book with my hand, and a floppy disk. The disk was nearby so I grabbed it out of convenience. 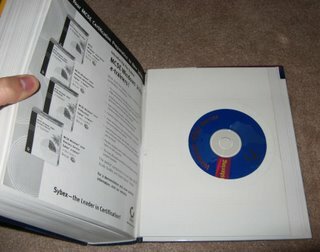 You can't see it on the back cover because the picture is too small, but it says, "Featured on the CD: On the enclosed CD, you'll find a fully searchable electronic copy of the book- complete, convenient, and easy-to-use." 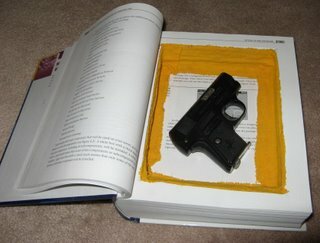 ....make a book safe out of it! 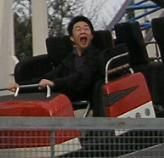 Wa-ha! Check out those 5.25" floppy disks! This is just the back compartment. Here's the front compartment (much deeper). Hey look, a Colt 25! Relax, it shoots BBs... and annoying people. In case you're wondering, I cut out 20-30 pages out at a time (not like this guy, his way is better...more efficient.... sigh), recycled the cut out paper, and instead of making one big compartment, I made one semi-big compartment and one small one. Then I glue-gunned some scrap cloth from the prom dress I was making onto the sides to act as a lining and to keep the pages together. Ta-da. And before anyone says it, no, I do not have too much time on my hands, I did this over a period of a few weeks. While watching TV. Hmmm, that kinda contradicts what I just said because TV isn't a necessity. Meh. Errrgh, hardly online anymore. Still post-poning reading emails as well as reading people's blogs' feeds. I'll get to it. Forgive me, I really do want to, but I see some posts in my RSS viewer are sooooo long and I put off reading them! P.S. Are you coming back to SFU for next Fall and Spring? tim...your posts are like a ray of hippie love in my life. hahahaha. Oh and I'm officially an intern for the EAP! whats the matter bernice, you don't like dresses? .....wait a second, did you just call me a hippie?! i have to say that book safe thing is pretty cool. 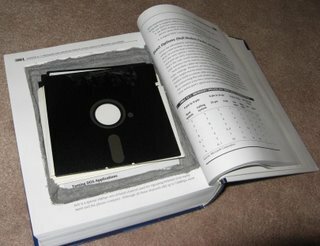 my sister bought a fake book that served the same purpose ages ago. but it was more like a video cassette case than a real book.